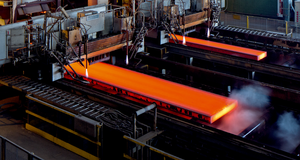 For reliable distance measurement, both indoors and outdoors: The Dx1000 long range distance sensor with infrared laser is ideal for use on cranes, for detecting vehicles in traffic applications, and for measuring hot steel slabs in a steel mill. 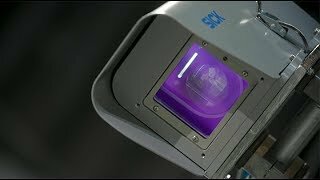 The Dx1000 features exceptional versatility in any application – HDDM+ (High Definition Distance Measurement with multi-echo technology) enables distance measurements with high measurement accuracy, even in the presence of ambient light, rain, snow, and fog. 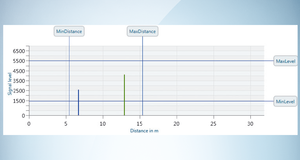 It excels at axial object tracking and quickly detecting the edges of objects moved in from the side. 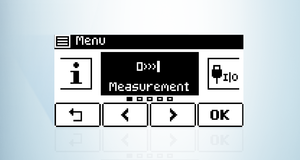 The device does all this at measurement cycle times of down to one millisecond, making it ideal for use in control loops. 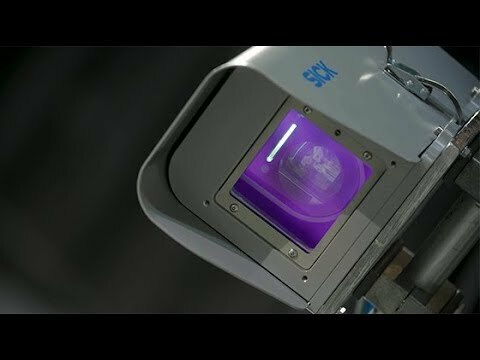 When it comes to taking reliable measurements of extremely long distances both indoors and out, the Dx1000 long range distance sensor is particularly impressive thanks to its exceptional performance. 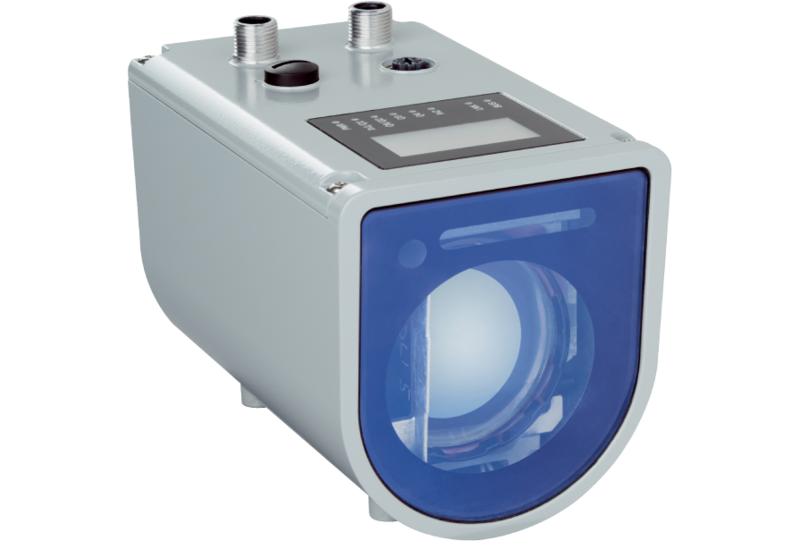 Equipped with the modern HDDM+ technology, the Dx1000 ensures stable measurement results in a rugged housing, even in inclement weather. 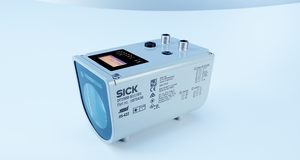 Designed by SICK, this measuring technology is the ideal choice for adverse ambient conditions and offers a flexible range of applications at high speeds. 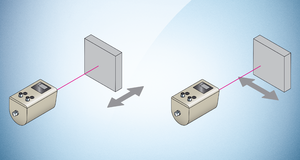 In most applications, the distance sensor receives exactly one echo from the reflection on the measuring object and converts this into a distance value. 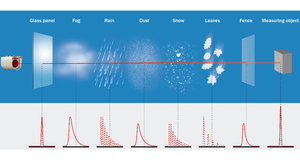 In real application situations, protective windows or environmental influences such as precipitation in the measurement path could cause unwanted echos. 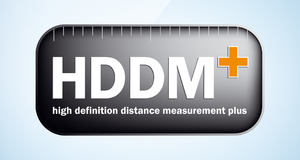 Thanks to HDDM+ with multi-echo technology, the useful echo can be identified and selected for distance measurement. 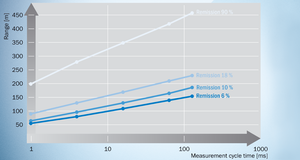 This enables distance measurements with high measurement reliability, even in the presence of multiple echoes. The Dx1000 with HDDM+ is perfectly suited for the measurement of very long distances - with relatively short measurement cycle times as little as 1 ms and low noise in measurement value data. 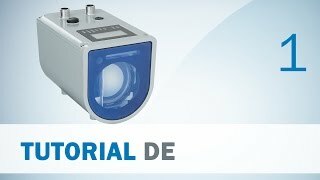 The sensor variants DT1000 for distance measurement on natural objects and DL1000 for measuring on reflectors cover a wide spectrum of uses and offer high flexibility in application. 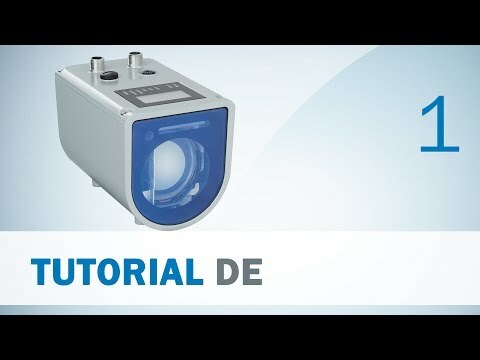 When measuring on natural objects, the DT1000 reaches distances of over 450 m. The DL1000 has a maximum sensing range of 1,500 m when measuring on “diamond-grade” reflective tape.